I never judge, only chronicle. 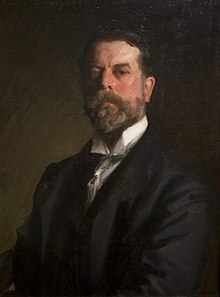 John Singer Sargent (12 January 1856– 14 April 1925) was the most successful portrait painter of his era, as well as a gifted landscape painter and watercolorist. He was an American expatriate who lived most of his life in Europe. The habit of breaking up one's colour to make it brilliant dates from further back than Impressionism—Couture advocates it in a little book called 'Causeries d'Atelier' written about 1860—it is part of the technique of Impressionism but used for quite a different reason. This page was last edited on 19 September 2015, at 11:24.